The Rattlers finish up the month of March at Alma tonight. In meets so far, the Rattlers have hit some great marks and are improving every week. Next up, the Rattlers travel to Booneville for the Bearcat Relays and to Mansfield for the Quad City meet. I am not going to put all results from the Greenwood meet in here but here are just a few: Chase Gibson hit the top mark in 2A this season with 6'3" in high jump (3rd highest leap for a Rattler during my tenure! 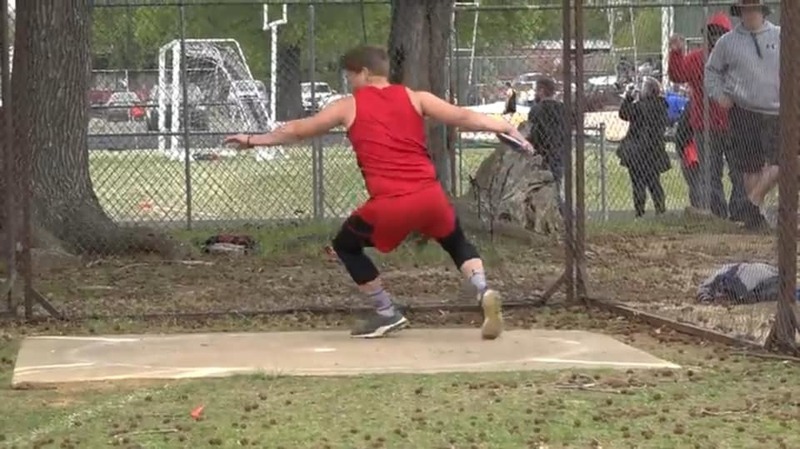 ); Caleb Hyatt hit the top mark in 2A in discus with 125'+; Hannah Green joined them by prequalifying for state. Jesse Witt was over 40' in triple jump (#2); Hannah Smith hit #2 times in both hurdle events; Tatum Scott has #2 time in 400m; Clair Curtis finished 2nd in shot put and solidified her 2A standing for now; Levi Wright turned in the #3 time in 3200m; Josh Cox has the #3 vault in 2A; Girls 4x100m relay hit #2 time in 2A for now(Kelsey Krigbaum, Taryn Leslie, Becky Scott, Taryn Leslie); Chase Gibson has the #3 long jump; and both our girls(Lauren Littleton, Hannah Green, Hannah Smith, and Taryn Leslie) and boys(Jesse Witt, Tsim Neej Vang, Jacob Hall, and Tatum Scott) 4x400m relay teams have the #2 times in 2A right now. Xeng Yang PRed in the 110m hurdles and the 300m hurdles (#3 in 2A). The girls(Lauren Ryan, Michal-Ann Dobson, Carlee Parrish, and Marina Serna) have the #3 time in the 4x800m relay as well. I could write an entire story after the meet last this week, but this will suffice until next time.